SAN ANTONIO, Monday, June 26, 2013: Canada’s leading EdTech industry consulting firm, MindShare Learning, celebrates its 10th anniversary at a special Can/Am event during ISTE 2013, the annual conference and exposition hosted by the International Society for Technology in Education. MindShare Learning has been connecting education and industry leaders in understanding and analyzing the emerging needs of learners in the 21st century knowledge-based global economy for an entire decade. Specializing in delivering transformational and connected learning experiences from the classroom to the boardroom, MindShare Learning continues to inspire and foster 21st century learning skills that are essential to the success of all students as global citizens. 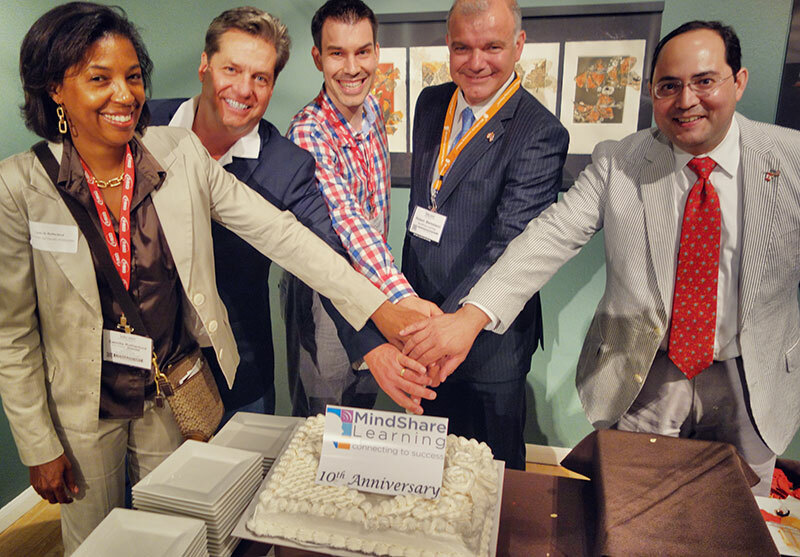 MindShare Learning’s ten years of growth has seen tremendous change in the EdTech space where it responds to market demands from strategy consulting to launching Canada’s premier learning and technology eMagazine, the MindShare Learning Report. The success of the MindShare Learning Report subsequently inspired an event-focused business stream with the annual EdTech Leadership Summit, and most recently, a strategic presenting partnership with CONNECT 2013—Canada’s K20 Learning & Technology Conference. MindShare Learning serves the K-12, high education, and corporate learning markets, collaborating and connecting with its national network learning platform that supports strategic and effective use of technology in the classroom and beyond, bringing all learners into the 21st century.